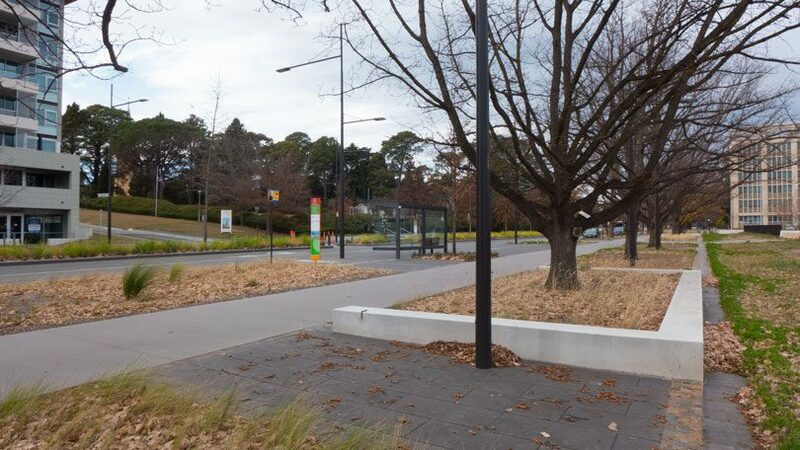 Unfortunately the announcement raised the very ludicrous expectation that Constitution Avenue was to be Canberra’s Champs-Elysees. Wow! Now that would be something! After a walk along the newly upgraded street and having observed the new layouts and street furniture, I would challenge anyone to favourably compare the Constitution Ave to the busy, noisy, chaotic, and beautiful Champs-Elysees. What we have along our Constitution Avenue is a competent example of contemporary street design. During my walk for a closer look at the layout, the plants, the paving and the street furniture, I could see nothing special about the design outcomes. I do admit that when compared to what was there previously, it is an improvement. Congratulations for the initiative to make the place a little more interesting must go the NCA staff or whoever was responsible. However there are significant mysteries associated with this upgrade. One puzzle is that an architectural firm from interstate carried out the job. 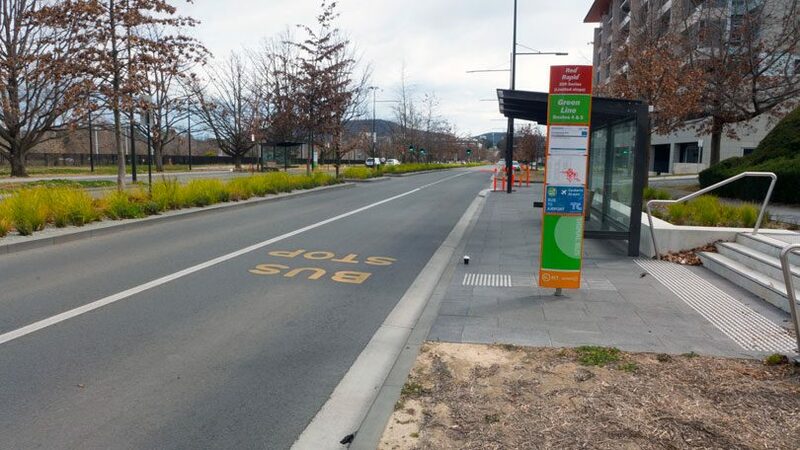 If the reason for this was to deliver a very different design solution, I missed something when I went for my walk. Years ago on two different occasions I talked about the importance of building up local expertise through a strategy of ensuring that local firms are given a priority for work of this nature. Both the chiefs I spoke to agreed and were to look into this. Never happened! Am I surprised? As was mentioned in several articles locally a couple of weeks ago, such jobs could very easily be contracted out to local firms who, in this case, specialise in street and landscape design. It is definitely time in the growth of this city to do the right thing by local designers and employ local firms whenever possible instead of bringing in interstate architectural consultants. Such a strategy should not always exclude outside designers. For instance projects could be opened up to outsiders when specialist expertise is not available locally. In such instances, the brief could require interstate firms to partner with locals. But for the vast majority of landscape projects, as with this Constitution Ave project, the design jobs should stay local. I suspect several of our well-experienced local firms could have easily done the job – and possibly have risen to the challenge to do something innovative. The next issue is really puzzling. This upgrade was awarded the top award by the ACT Chapter of the Institute of Architects. 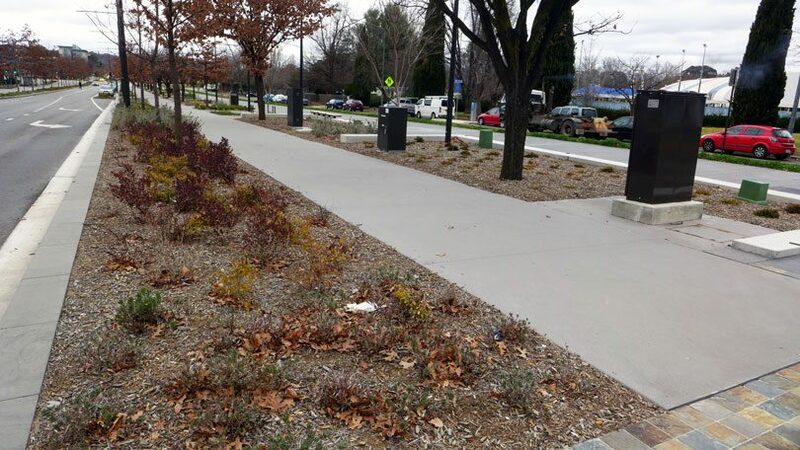 I’ll say that again – a straightforward landscape design project got the top architect award. 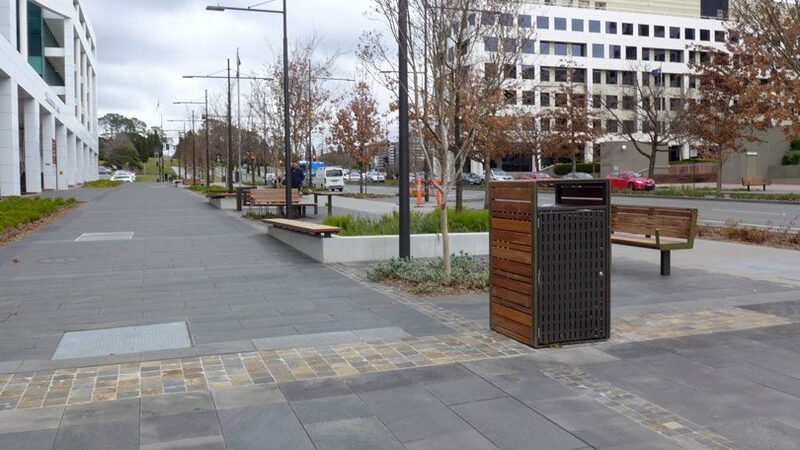 So we are to believe that out of all the work undertaken by architects across Canberra in recent years, all those commercial buildings and all those residents, this street design work was the most outstanding success story in architecture for 2016-2017. When I read that result, I had to read the article again to make sure what I was reading was correct. Then I researched as much as you can online to look at the other award winners. I have asked around and still cannot find anyone who agrees with this level of architecture award for this landscape design outcome. It remains a mystery. Local procurement agencies that look after our landscape/ street / park design projects should focus local resources on building up local expertise. There are firms here in Canberra that are very capable of delivering on good design projects – large and small. It would be great to challenge them with larger and more complex projects. And it would be logical to use our local resources to increase local expertise.